A boy from the Lower Omo stands on the riverbank. Violent land grabs in Ethiopia’s Lower Omo Valley are displacing tribes and preventing them from cultivating their land, leaving thousands of people hungry and ‘waiting to die’. As the world prepares to raise awareness of the issues behind poverty and hunger on October 16 (World Food Day), Ethiopia continues to jeopardize the food security and livelihoods of 200,000 of its self-sufficient tribal people. Tribes such as the Suri, Mursi, Bodi and Kwegu are being violently evicted from their villages as Ethiopia’s government pursues its lucrative plantations project in the Valley. Depriving tribes of their most valuable agricultural and grazing land, security forces are being used brutally to clear the area to make way for vast cotton, palm oil and sugar cane fields. 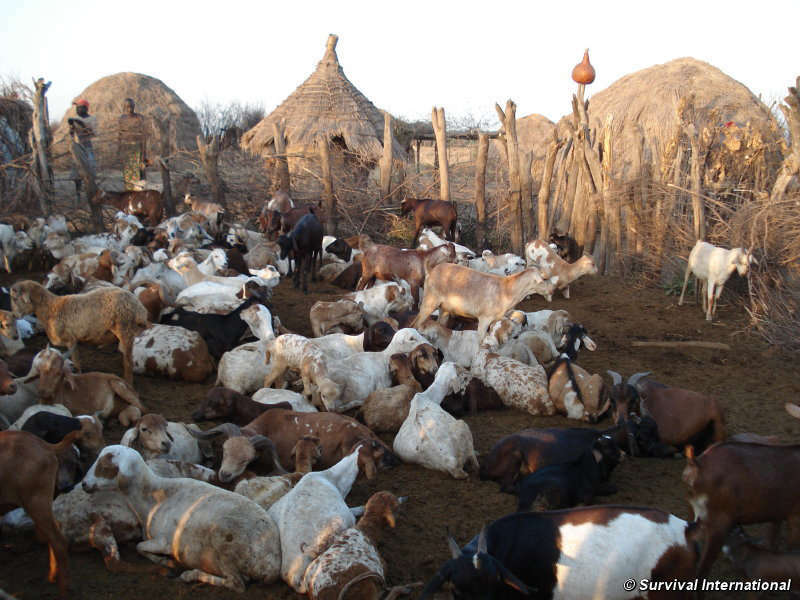 Cattle are being confiscated, food stores destroyed, and communities ordered to abandon their homes and move into designated resettlement areas. 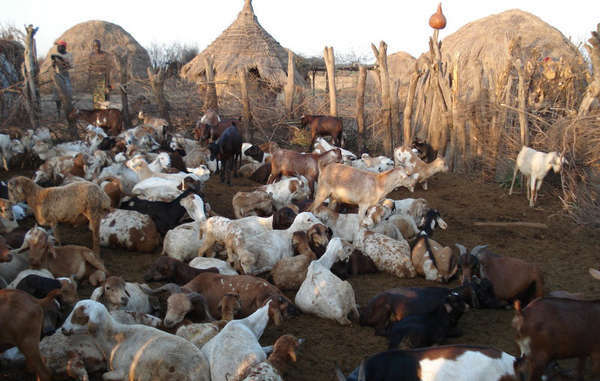 Security forces are confiscating cattle and forcibly evicting Lower Omo tribes. Key to the plantation program is Ethiopia’s controversial Gibe III dam. Once completed, the dam will stop the Omo River’s annual flood, preventing tribes from using its fertile banks to produce valuable crops and feed livestock. Ethiopia has not consulted any indigenous communities over the construction of Gibe III or its aggressive plantation plans in the Valley, which is a UNESCO World Heritage site.